Wow, it's been too long since I've done a Norah update! I love spending time together as a family, but since Kley works and I stay at home (which I love and am so thankful for! ), Norah and I get to spend a lot of time together and it is a joy. We don't travel that often, but Norah and I have taken three mommy/daughter trips lately- it's been awesome! We went to DC to visit Stephanie in November, and in January we went to Minneapolis and Des Moines for quick one night trips to help a friend who was sick (and see Zack/Karlie and have fun at MOA) and for Erica's baby shower. Norah is a travel trooper and handled it quite well! Norah started three-year-old preschool in late August, and it has been really good for her. We are so pleased. She was excited to go leading up to it, but was anxious as it drew near. We said lots of prayers for bravery and that she would show His kindness to others. Her first day went so well, no tears and seemed happy! Her teachers said she cried a couple times at school the first few weeks, but we are thankful that it was a smooth adjustment overall (we thought it would be tougher than it was), and she is always excited to go. The main reason we wanted to send her was for the social aspect, so we are glad she can be in an environment where she can practice that. Her first report card said basically exactly what we thought it would say- Norah is excelling at learning, a good listener, but is developing her social skills and interacting with others (more often likes to play alone). Very similar to what her mom's report cards always said! It meets Tuesday/Thursday mornings from 8:30-11, so dad drops off on his way to work and mom picks up. Along with preschool, Norah also still does Kindermusik and loves it. She's in the older class now, so the first 35 minutes is just with the teacher, and then parents come in for the last ten. Norah has really enjoyed it! We tried Awana at the beginning of the school year, but it didn't go well because there were too many people and too many older kids. Maybe we'll try again when she's older. We also go to many of the library programs. Late last summer we transitioned to earlier bedtimes, which worked out nicely because preschool was starting and Lucy and Ellory transitioned to one nap. Bedtime is 8:30, but we lay Lucy and Ellory down first, so it's usually 8:45 for Norah. Late bedtimes worked well for our family during the early seasons, but an earlier bedtime has worked very well during this season too. Norah falls asleep quickly if she did not nap, but takes quite a while to fall asleep if she does nap. We do a “rest time” every afternoon for about 1.5-2 hours, but Norah doesn't regularly sleep. In my last update I said she napped about 75% and didn't 25%, but I'd say that's about 2/3 no nap 1/3 nap now. She goes on a string where she won't sleep for awhile, and then will for a couple days in a row usually. 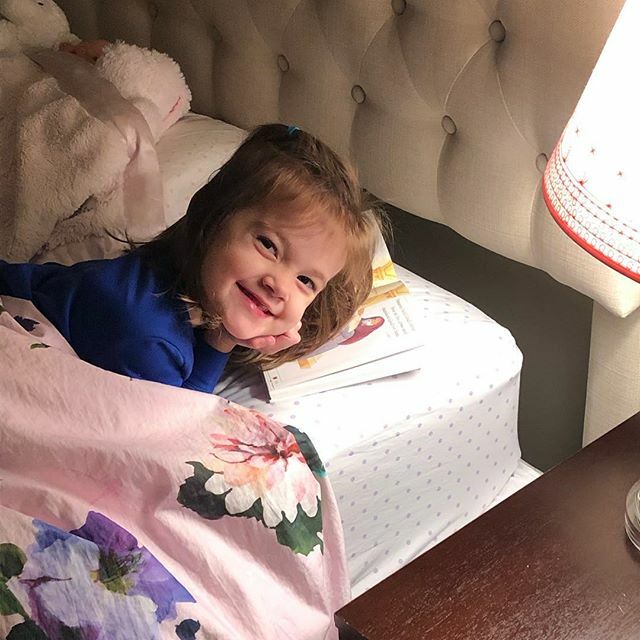 Norah does excellent at staying in her room though, so we are very thankful for that! Norah's memory is like a steel trap and she remembers things from even years ago. Many people still comment on how clear and articulate Norah is with her speech- always has been ever since she started talking and we love it. Generally Norah is as sweet as can be, but occasionally has a temper flare up that can be pretty intense, but glad it's short lived. We've been working on praying after discipline, apologizing, and asking for forgiveness. We are entering into “older parenting stages” we feel in some issues that have come up a couple times, like lying. This has provided great opportunities for discussing issues like sin. Norah is an excellent big sister. They have their typical sibling moments like any kids, but it's so fun to watch them laugh and play together. She is sweet and protective of them. Norah loves to offer for Lucy to tackle her (when she tries to tackle Ellory and she hates it) and for them to chase her. Norah loves to read books to Ellory (or both, but Ellory usually has more sit in her). Norah occasionally still wants help in the bathroom just for attention, but mostly goes completely independently, usually without any reminders at all (unless we are leaving the house or it's before bed). She often gets herself dressed. We usually do a small side ponytail everyday to keep it out of her face, and sometimes we braid that, but that's usually all she'll let me do. Norah needs encouragement to take her vitamins everyday- not a favorite activity. Norah is a pretty good eater, but doesn't eat a lot. 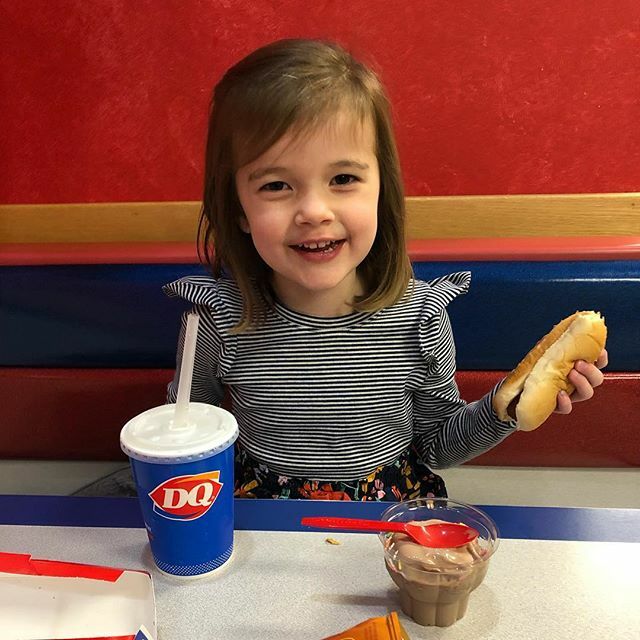 She says her favorite food is macaroni and cheese, and her latest thing she wants to be when she grows up is a dentist. For over a year she said her favorite color was dark blue, but recently she's been going between pink and purple. 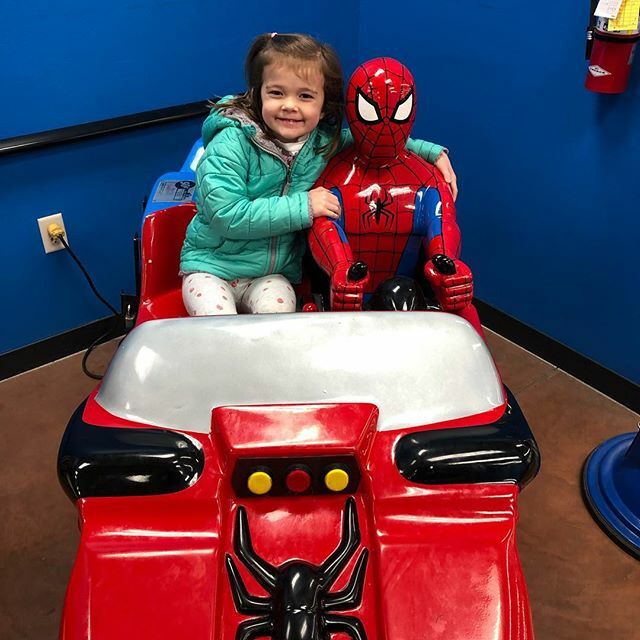 Her absolute favorite toys are her baby dolls, and also likes coloring/doing crafts, magna-tiles, reading books, puzzles, and she's been really into playing restaurant. She's started playing a few more board games, like Candyland, Don't Break the Ice, and Sequence for Kids. She has been interested in rhyming words and asks often if certain words rhyme or what's a word that rhymes with what she said. It's so fun to watch her improve in writing her name, and she loves to write messages (like drawing lines/squiggles or random letters). She knows all her shapes, colors, and many numbers, and knows some alphabet letters and sounds. She is good at retelling stories and memorizing books/songs. She can pick out many instruments from songs she hears from doing music things with Kley. Her favorite things to watch during screen time are Veggie Tales and shows on the PBS app. She's had a couple random ear infections lately and a cold/fever or two, but thankfully has been very healthy overall. At her four year check up, she was 42” (90%) and 38 lbs (73%). People often comment on how tall she is! Norah is wearing 5T clothes, and has been for over a year, so the switch to the girls section is fast approaching. She wears a size 10 shoe. Norah chose a Disney Princess party for her 4th birthday. She initially wanted just Aurora, but then also added Snow White (because her dress had dark blue), but I convinced her to do a princess party because I couldn't find anything with just those two. It was so fun! She wanted a smaller friend party, so we did that and she had a good time. She had nine friends come (so it was still a bit big! ), and they had macaroni and cheese, green beans, doritos, grapes, and cupcakes. They also did a princess coloring and sticker page and played with lots of princess toys. We also had a family party with both sides too. So fun to celebrate one of our favorite gals! Christmas was so fun this year too because she was old enough to really understand and enjoy everything. She also participated in her first children's program at church and did great! Norah, you are lovely, delightful, and sweet. Not all the time, of course, but there are so many good and beautiful things about you. It is an honor and a great blessing to be your parents. You are so very loved. This picture was on the way home from our mommy/daughter trip to Minneapolis, and she said, "This was the best mommy daughter day ever. A+ A+." I will remember that forever! 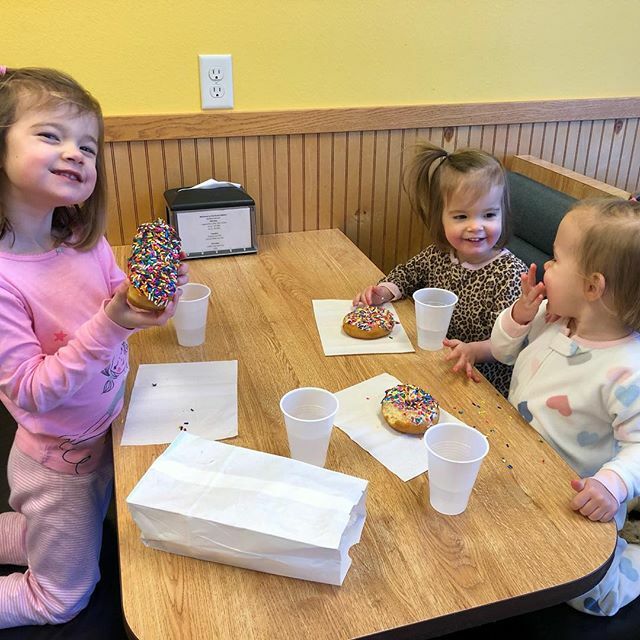 Daughter donut date with big sprinkle smiles!